Love cooking with fresh herbs? Tired of always having to spend money on them only to have half of them go bad before you can use them all? Want to keep a little bit of "green" in your life with the cold weather coming? The answer to all of the questions (even if you have never asked them) is YES! Yes! Even if you don't usually cook with fresh herbs, there's no time to start like the present. 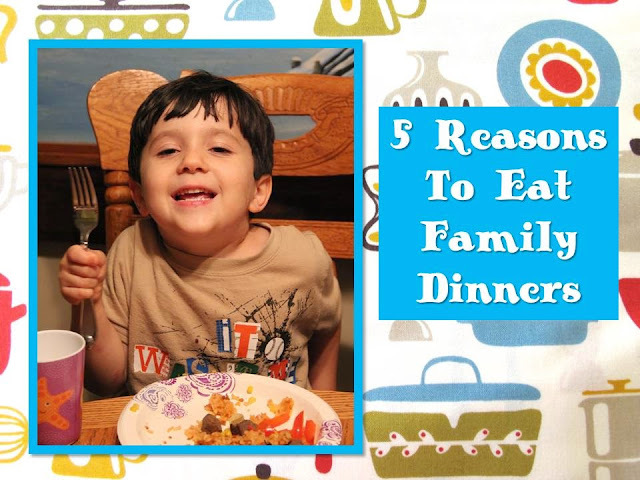 They are easy to use and is one of the simplest ways to elevate your meals. Yes! Fresh herbs in the store sometimes cost just as much as an entire bottle of dried herbs. The flavors really accentuate the dish, but recipes usually never call for the entire package of fresh herbs and before you have the chance to use the rest they have usually gone moldy and spoiled. Yes! By the time we have reached the middle of winter (for some of us the longing for Spring comes much sooner) we are dying to have some kind of living green life to look at. A fresh herb garden is just the ticket to liven up your meals, lighten up your wallet, and help you to last until Spring returns. Follow these simple steps to build your own DIY Window Herb Garden. It's also a great project to let the kids help with! Disclosure: I was given the item above at no cost to me in order to facilitate this review. Having four children of my own, I have come across my fair share of car seats. With my first child, we bought the forward facing car seat, then the booster seat, and finally graduated her to the backless booster. But with the Graco Argos 80 Elite car seat, I now have three car seats in one! This same seat that my child fell in love with will be the same seat he uses through out his car seat years - and I won't be out searching for a new one every time he grows to the next stage. What a way to travel! With family in Michigan, Maryland, Virginia, Minnesota, and even as far as Texas, our family does a lot of traveling. Right away, I was amazed at how much cushion and support this car seat offered to my 2-year-old son, Levi (and I was immediately wishing I had this much cushion on my tush when I traveled)! There seemed to be opportunity for comfort everywhere, right down to the padding on the arm rests, and cloth protection over the harness. The head rests are very sturdy and plush and keeps his head from falling to the side when he falls asleep. There's even extra padding in the seat that can be removed as he grows. This car seat offers all of the comfort and style, without sacrificing any of its safety. With its 5-point harness system, steel reinforced frame, EPS energy- absorbing foam, and certified side-impact testing, I have peace of mind knowing that my child will be safe and protected in this car seat. I received the above item at no cost in order to facilitate this review. You can find other personalized books for kids at I See Me. From the moment they are born, we tell our children they are special. We do our best, as parents, to remind them each and every day that their life is important, that it means something, and that they are meant to do great things. With the new I Can Change The World book, from I See Me, your child will not only get to hear this awesome message, but they will get to see it all play out on the pages of a personalized book made especially for them. 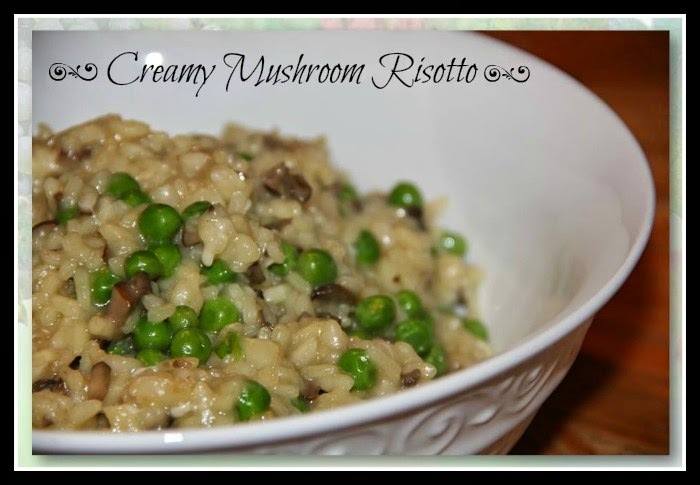 From the moment I first began to cook I had always wanted to make risotto. Just the name itself sounded fancy...and complicated. When I finally got up the nerve to try my hand at this Italian classic, I discovered making a simple risotto is not as hard as it seems, if you are willing to throw in some time, and a few fresh ingredients. Here's my simplified spin on this savory time-honored dish. Grab an ice cold class of milk for this one! The chocolate chip cookie is probably America's all time favorite cookie. When I think of the desserts our country is known for this classic cookie definitely tops the list. 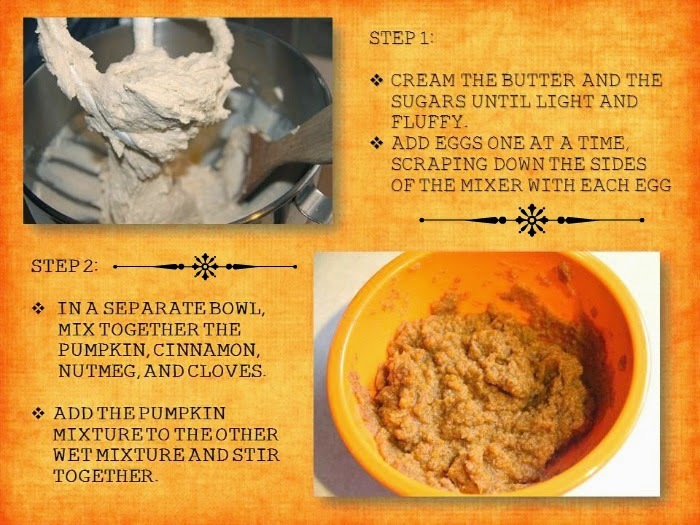 Elevate this perfect treat to another level with another known favorite - pumpkin! 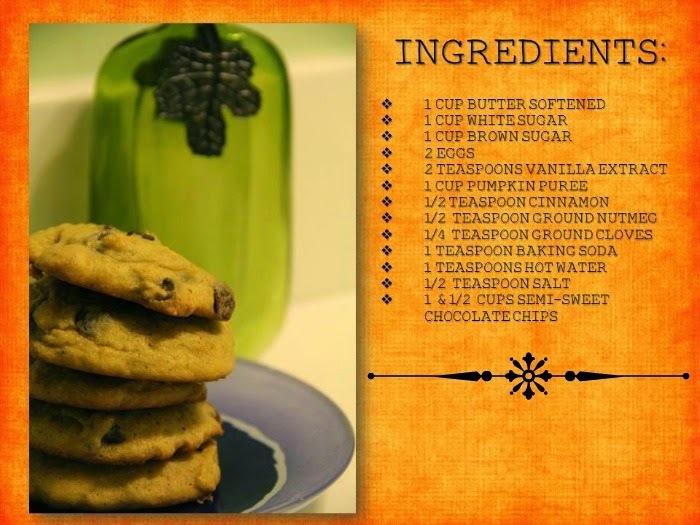 Together, they combine to make the perfect cookie recipe for a cool, fall evening. The best cookies are always planned ahead of time. To cream the butter and sugar to perfection the stick should be good and soft. 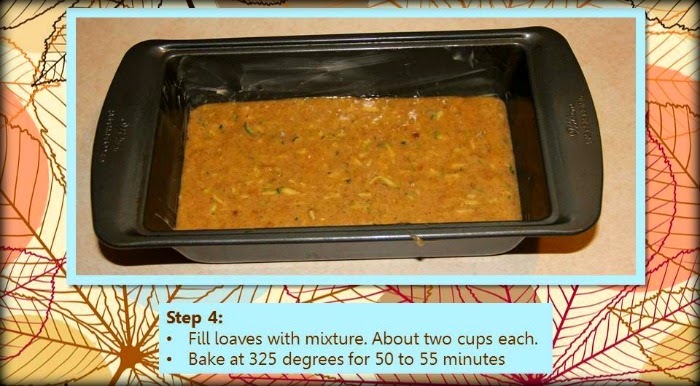 Feel free to preheat your oven to 350 degrees as you mix up your cookie dough. Getting your cookies ready to bake is not a long process. By the time your oven is ready to go, your dough should be ready as well. For canned pumpkin you will most likely find "pure pumpkin" and "pumpkin pie filling". Make sure you are simply getting the pure pumpkin and not the pie filling. 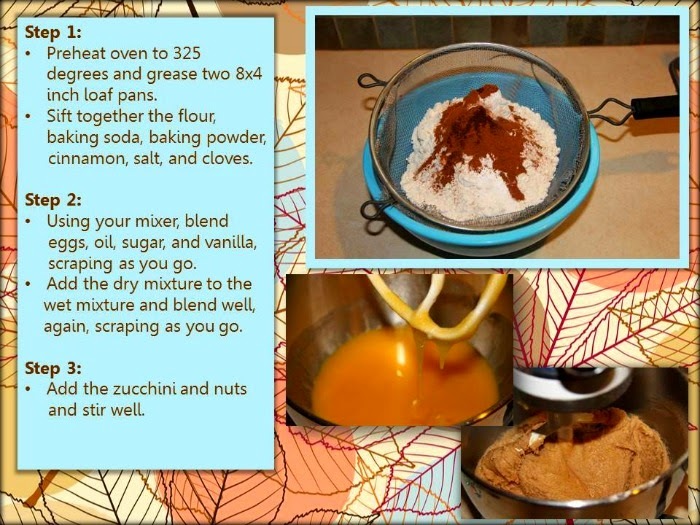 I really like the taste of the pure pumpkin - plus I get to add my own spices to get the exact flavor I want. 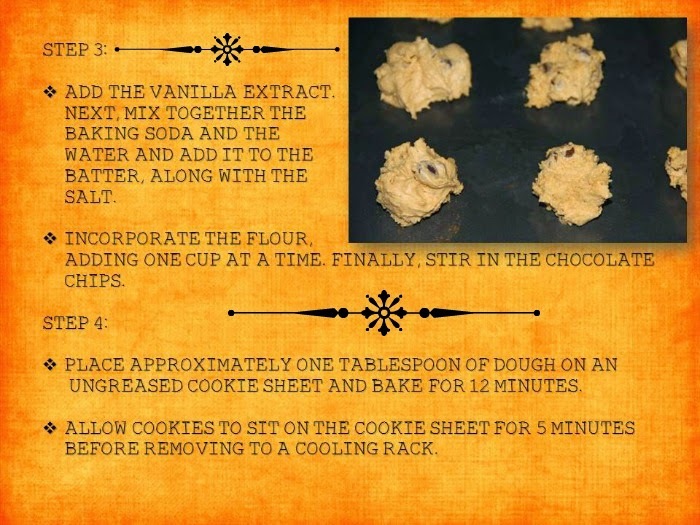 If you don't want to bake the cookies right away, you can absolutely cover the dough with plastic wrap, place it in the fridge, and bake them later. If your kids are like mine, they love to have the cookie jar filled. 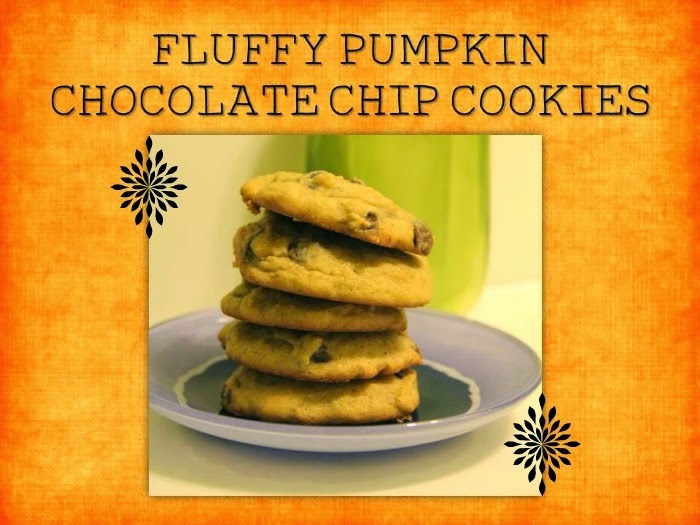 Put a smile on everyone's face by filling your cookie jar with these Fluffy Pumpkin Chocolate Chip Cookies! Cookie Jar Tip: Make sure the cookies have cooled completely before you store them. I always throw a slice of bread in my cookie jar - which keeps my cookies soft and chewy. Disclosure: I was given the item above to facilitate this review. There's anxiety, panic, and tears coming from the bedroom upstairs. It isn't long before the screaming is heard. "Please, please don't do it!"... No, I'm not talking about the latest scary movie coming out in theaters, I'm talking about the daily horror of brushing my daughter's hair. Every time I come at her with a brush or a comb, no matter if her hair is wet or dry, the result is always the same - tearful pleading that I not brush her hair and let it continue to become a nesting place for small creatures. And of course, as always, I try to be as gentle as I can, but each session of grooming seems to further solidify in her mind the truth she has come to know; brushing your hair will always be a painful experience. While I college, I researched a paper on parental involvement in school. What I found was not all together shocking. Many parents complain they want to be involved in their child's schooling process but find that many schools make it hard. At the complete opposite end of the spectrum were the school administrators and teachers saying, "We want parents to be involved - but we just don't have parents who want to take the time to be a part of what we're doing in the public school". Like anything in life, when we find something to be important, we take the time to make it a priority. Numerous studies have shown that when parents are involved in their child's schooling, it not only helps your child succeed academically, but socially and emotionally as well. 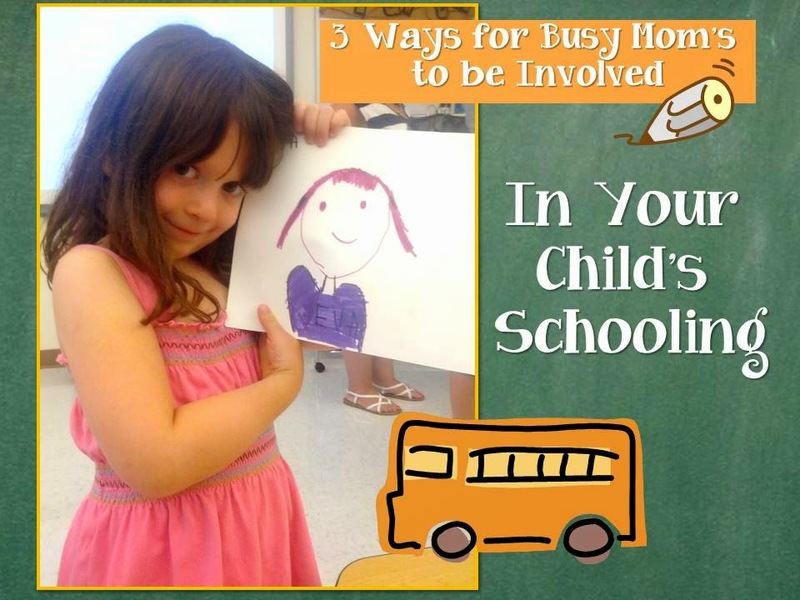 When parents take the time to be involved in their child's school - it brings great benefit not only to the child, but to the parent, the teachers, the school, and ultimately the community. In the mood for some smooth and delicious applesauce? Whip up a batch of my Old Fashioned Applesauce. With only six simple ingredients and only 25 minutes of cooking time - you'll be wondering why you waited so long to make your own - and once you've tasted it - you'll never go back to the jars you buy at the store. Everyone in my family loves fresh bread! 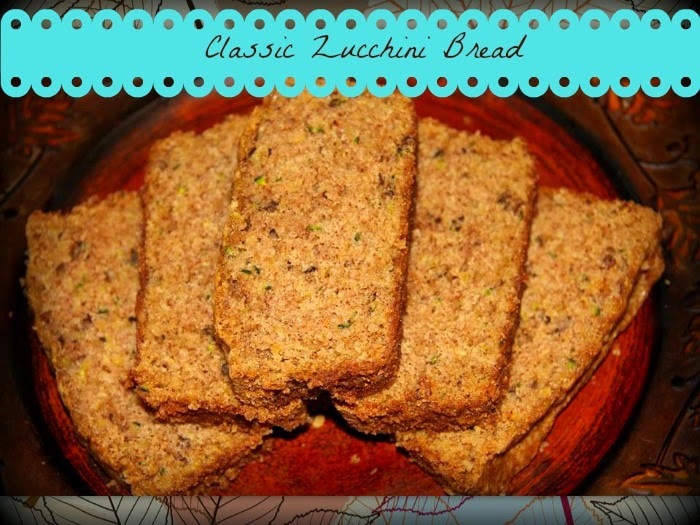 With this recipe, I took my ordinary white bread recipe and turned it up a notch to make it extra special, and extra delicious! This recipe makes two loaves of cinnamon raisin bread. I can never get away with just making one - with a husband and four hungry kids, the first loaf is usually gone before it even has time to cool. Making two loaves gives my family a chance to enjoy a wonderfully warm treat, and the opportunity to enjoy it later in the week as well. Hope you enjoy it! If you don't have a kitchen aid mixer you can still make this fantastic bread - it just means you get a good workout in on the arms with the kneading. If you have kids or grandkids who like to get in on the baking action - give them a turn to knead. 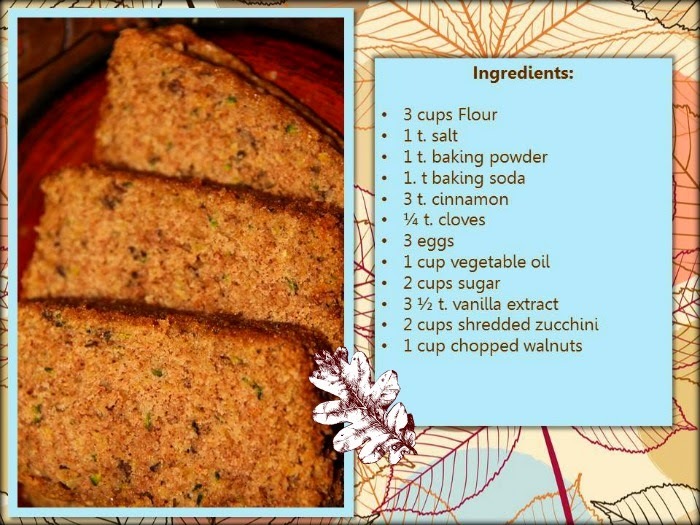 They will not only love your raisin bread - but they will love that they were a part of making something so yummy! Don't forget to clean and flour the surface you are rolling your dough out on - that extra flour won't hurt your dough a bit! Try to roll your bread up as tightly as possible - its ok if it doesn't look pretty - you just want to make sure it's all sealed up so none of the cinnamon sugary goodness can't escape. Once you put it back to rise in the bread pan - it will rise to perfection. Aside from the basic features you will find with the Brylane Home Digital Slow Cooker, you will also find some safety features that make me appreciate this slow cooker even more. This slow cooker contains a polarized plug (meaning one blade is wider than the other blade) which helps to reduce the risk of electric shock when plugging and unplugging the appliance. A lot of cooks find it annoying that the cord to their slow cooker is super short. The cord is longer than the last slow cooker I owned - which allowed me to plug it up in more than one place on my counter - but it's also short enough that keeps the appliance away from the end of the counter where little hands might be reaching up. The settings are extremely easy to use - it really is just the touch of a button! For my first test run in this slow cooker, I decided to whip up a batch of apple butter (you can click here for the recipe). I cook my apple butter for approximately 24 hours and this slow cooker was the perfect tool for my favorite fall treat. I cook my apple butter in two 12-hour batches, and I was able to utilize the digital timer (which allows you to time your meal anywhere from 30 minutes to 20 hours and 30 minutes). Even after using this slow cooker for a constant 24 hours, it maintained its constant cooking temperature and I did not have to worry about any damage or warping to my kitchen counter. No matter what your have on the menu this fall, you would be missing out if you didn't add a crock pot recipe or two every week. The Brylane Home Digital Slow Cooker is the perfect tool to get the job done! Whether it's time for a slow cooker upgrade, or time to enjoy the benefits of your first crock pot, the Brylane Home Digital Slow Cooker is one of the best. Connect: Find out more about this Digital Slow cooker, other Brylane Home products and more, by visiting their website. Be sure to "like" them on Facebook and follow them on Twitter. But it: You can purchase this Digital Slow Cooker from Brylane Home. It is currently on sale at 50% off for 49.99. Win It: One lucky reader will WIN one of these slow cookers for their own home! This giveaway is open to residents of the US who are 18 years of age or older. Void where prohibited. This giveaway will end at 11:59pm ET on October 18th 2014. Enter using the Giveaway Tools entry form below. Good luck! Disclosure: I (Jennifer) received the item above, at no cost to me, to facilitate this review. Brylane Home is responsible for prize fulfillment.